PHILADELPHIA (WPVI) -- There are plenty of ways you can start your Fourth of July weekend and ice cream is one cool way. Philadelphia's new Museum of the American Revolution will be hosting its first ever Independence Ice Cream Social on Saturday, July 1st. The event runs from 5 p.m. to 7 p.m. 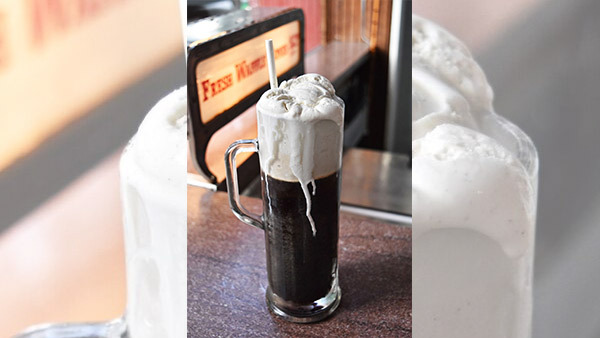 The museum's Cross Keys Café has partnered with The Franklin Fountain and Quaker City Mercantile's QC Malt beverages to create adult ice cream floats. But don't worry kids, and kids at heart, there will be Franklin Fountain hot fudge sundaes and non-alcoholic ice cream floats to enjoy, as well. The museum says tickets are not required for this happy hour event. But museum tickets will be available and there will be extended hours for the month of July. The Museum of the American Revolution is located at 101 South 3rd Street in Center City. Weekend action: What to do locally on the weekend before July 4th.